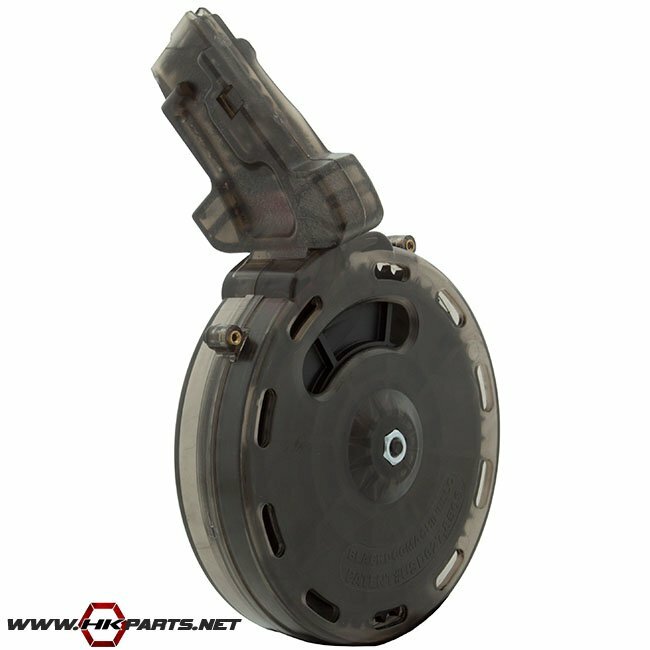 HK MP5 .22 50 Round Drum Magazine For The MP5-A5 & MP5-SD .22 Rifle. 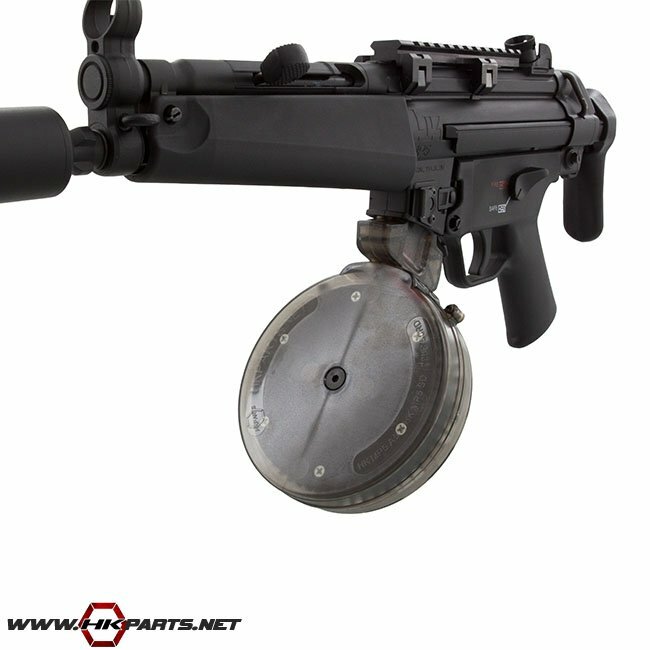 HK, Walther, Umarex MP5 & MP5 SD .22 rifles. Made in the USA by BDM exclusively for HKPARTS. Using an existing drum model that is tried and true.